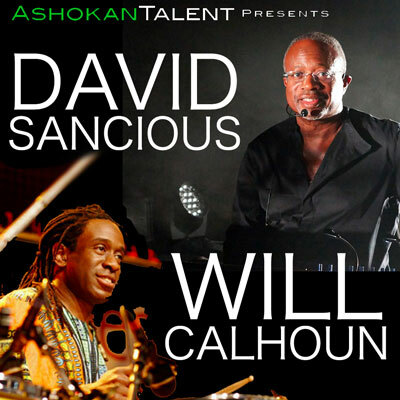 (ASBURY PARK, NJ) -- A Jersey Shore legend returns to the area on Monday, November 12th when David Sancious and Will Calhoun bring their Open Secret Tour to The Saint in Asbury Park. Sancious has played or recorded with artists like Peter Gabriel, Sting, Bruce Springsteen, Eric Clapton, Jeff Beck, Seal and many more. Will Calhoun is a world renowned drummer, best known for his work with Living Colour. Doors are at 7:00pm, show begins at 8:00pm. For Rock & Roll Hall of Fame keyboardist David Sancious, this is a hometown show. Sancious was born in Long Branch and grew up in Belmar. His home address led to the name of the E Street Band, of which David was an original member. David’s father was an electronics engineer and his mother a school teacher. An early interest in music was shown when at 4 years old David was able to pick out a few notes on a small plastic guitar his parents had given him, and play along to a Calypso record his father used to play frequently. Early musical influences ranged from the piano preludes of Chopin and Beethoven to the music of John Coltrane and Miles Davis. Folk music, R&B, and Rock were equally influential. The folk music of Odetta and the blues stylings of B.B. King inspired him to take up the guitar at 9 years old. "I played acoustic guitar for a few years and made some progress. Then one day my brother came home with the first Jimi Hendrix album ("Are You Experienced") and instantly I became very serious about the guitar." After several years of playing keyboards and guitar in Jazz, R&B, and Rock Bands on the Jersey shore area, David met Bruce Springsteen at the entrance to a club where Bruce was organizing a jam session. The result was an invitation to join a new band that Bruce was putting together. This eventually became “Bruce Springtsteen & the E Street Band”, and after recording three albums and touring the country, with Bruce, he left to form the group "Tone" and recorded several albums. The first recordings (“Forest of Feelings”) in 1975, followed by (“Transformation: the Speed of Love”), (“True Stories“), (“Just as I Thought“), and (“The Bridge“) showed David’s skills as a composer for the first time, and led to his being considered one of the most talented and sought after keyboard players in the music industry.” I’ve always been inspired and motivated by the composing aspect of music, and I’ve always thought of myself as a composer who plays well , rather than a person who is just proficient on a given instrument. The recordings attracted the attention of artist the world over. Recent recordings include ("9 Piano Improvisations"), ("Cinema"), and ("Live in The Now"). The Saint is located at 601 Main Street in Asbury Park, New Jersey.